Hearing loss or tinnitus can be caused by medical malpractice or by a car accident or other traumatic injury. This page focuses on the settlement and trial value of hearing loss; including total hearing loss, partial hearing loss, and inner ear dysfunction. Let's talk first about the trial and settlement value of hearing loss claims. 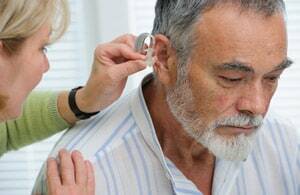 If you can prove that your hearing loss was caused by negligence, there is a good chance you have a claim that may be worth a great deal of money. There was an extremely useful study performed that sets out both settlement and verdict data in hearing loss cases. Not surprisingly, the most serious hearing loss claims are when the hearing loss is total. According to the study, both the average settlement and the median verdict in total hearing loss cases is $1.6 million. The median settlement is a little bit lower at $1.1 million. As the severity of the ear injury decreases, verdicts and settlement data fall. Partial hearing loss has an average verdict of $557,000, but a median award of only $95,000. Why the disparity between average and median in partial hearing loss that you do not see with a total loss? The quality of the claims and the severity of the injury vary more wildly with a partial hearing loss. The settlement data in partial hearing loss cases underscore that these are cases that sometimes need to be taken to trial. The average settlement in a partial loss case is $139,000 and the median settlement is $55,000. The value of inner ear dysfunction is much less. The average verdict is $176,000 and the median verdict is only $20,000. The settlement data is more bleak with a $45,000 average and a $14,000 mean. Certainly, in these cases, the more clearly objective your injury is, the better the likely result. Of course, to get a damage award, you have to win the case. The likelihood of winning a car accident case is going to depend on the type of accident and the facts of the crash. Another helpful study looked at what types of hearing loss cases are successful. The study looked at ninety-four cases. Fifty-six percent of these cases ended with the doctor prevailing. Thirty percent were Plaintiffs' verdicts and 12 of the case reached an out-of-court settlement. Settlements in the survey ranged from $42,500 to $12.5 million (which is misleading because the hearing loss was not the only injury). As you would expect, minors did better with an average payout of $1.3 million compared to $550,000 for adults. What kind of doctors were being sued? Otolaryngologists were the Defendant in 70% of the cases. The average payout in those cases as $313,230. The second most common malpractice Defendant were pediatricians. The most frequently sued were treating physicians for hearing loss; the second most common Defendant was pediatricians (eight cases). In the 13 cases in which an otolaryngologist was sued, there were nine defense verdicts and four verdicts in Plaintiffs' favor. The average indemnity for an otolaryngologist was $313,230. If you have suffered a significant hearing loss from an accident or from medical malpractice, call us today at 800-553-6000 or get a free online consultation. We can help you get the compensation you deserve.